[an error occurred while processing this directive] This is a list of digital videos I've made. Most videos were taken in the province of New Brunswick but some will be from other areas. 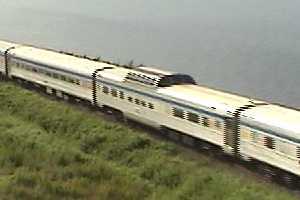 At the bottom I have listed some people who sell videos featuring New Brunswick railroads. I have also put some of my older videos on Google Video. NB East Coast Railway train 587 leaving Bathurst, 2007/09/14. 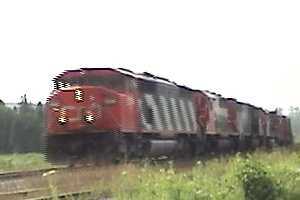 NB East Coast Railway freight at Belledune, 2007/09/04. NB Southern Eastbound Freight leaving McAdam, 2007/09/01. 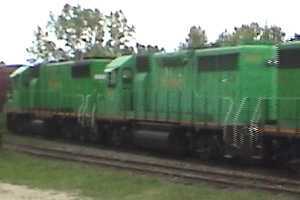 NB Southern Railway local train in Saint John, 2007/08/30. 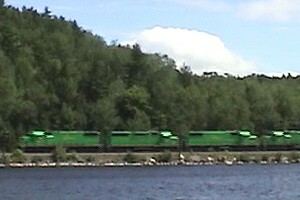 CN 305 near Edmundston, NB, 2007/08/12. VIA 16 (Chaleur) near Caplan, Quebec, 2007/08/11. 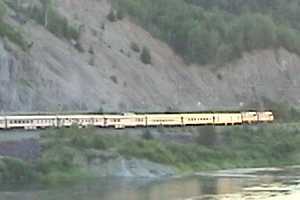 VIA 16 (Chaleur) leaving Matapedia, Quebec, 2007/08/11. 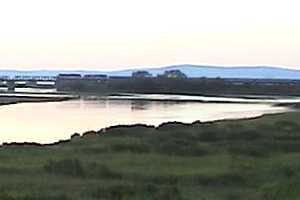 VIA 15 at Jacquet River, 2007/08/10. CN 308 at Deersdale, 2007/08/03. NB Southern 2319 at Harvey Lake, 2007/07/28. The Canadian Railroad Historical Association (NB Division) is selling a VIA DVD to benefit the New Brunswick Railway Museum. The video features the Ocean all across New Brunswick from Campbellton to Sackville and points in between. You can order it direct from their web site. David Othen has some video clips available from his web site, showing the video you can see on his video offerings. I have the three videos shown and I highly recommend them. 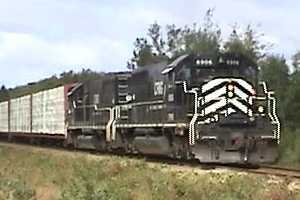 He has a number of train video clips online as well. Higher resolution clips of David's videos are available on Andy Inserra's Alco site. You can reach David at o t h e n @ e a s t l i n k . c a or mail him at 2 Beverley Street, Dartmouth Nova Scotia CANADA B2X 2K3. 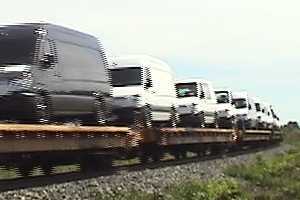 George Crawford offers "videos of the last CN & CP Train from Fredericton" (New Brunswick). He does not have a web site but can be reached at (506) 453-9912. I purchased this video, and although the quality of some clips is not great, the subject matter is fascinating... especially since one of the trains shown passed only a few hundred meters from where my house now stands. David Scott offers well over a dozen videos for sale, two of which feature New Brunswick content. His video #1 chronicles "The Last Years of Canadian Steam", including the DAR and CP in New Brunswick. 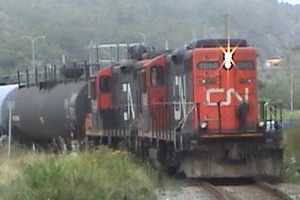 His video #15, "Atlantic Canada Railway Operations", features the NB Southern, VIA Rail, and CN. He may be contacted via his father's email at d o n a l d _ s c o t t @ t e l u s . n e t, or via mail as: David J. Scott, 41-1271 Lasalle Place, Coquitlam, British Columbia, V3B 7C8. I do not own any of his videos (yet!). 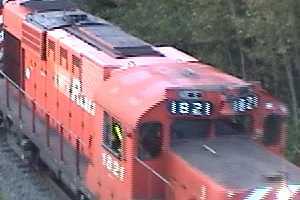 The Salem & Hillsborough Railroad has several videos available on their site. Revelation Audio-Visuals has a video entitled "VIA East/Maritime MLWs" (VHS) that features VIA and various CN MLWs (Alcos). You can also see some of my older videos on Google Video. See my collectible page for more video listings.